Minister behind 'Greater Jerusalem Law' continues push for law despite apparent disapproval from Trump administration. The minister behind the proposed “Greater Jerusalem Law”, which would annex 19 Jewish communities in Judea and Samaria to the city of Jerusalem isn’t backing down, despite the apparent opposition of the Trump administration and pressure from Prime Minister Binyamin Netanyahu to keep the issue off the table for the time being. The bill, which was proposed by Transportation Minister Yisrael Katz (Likud), would annex 19 cities and towns in Judea and Samaria to the capital, adding some 150,000 Jews to Jerusalem’s population, strengthening the Jewish majority. On Monday, Katz told NRG that he would continue to push the bill despite misgivings by the White House, adding that he was prepared to drop the most controversial portion of the proposed law. Katz also said that he was somewhat surprised by the pressure from the US to shelve the plan, noting that top US officials had been notified of the proposal months ago. The Transportation Minister suggested that the Prime Minister will back the modified version of the bill, and that it will most likely be passed during the Knesset's winter session. On Saturday night, Prime Minister Binyamin Netanyahu announced that he was delaying discussion of the “Greater Jerusalem Law”, which had been planned for the weekly meeting of the Ministerial Committee for Legislation on Sunday. 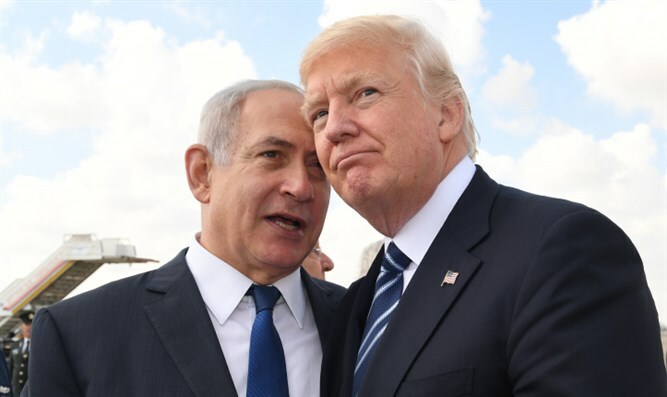 On Sunday, Prime Minister Netanyahu explained his decision to delay discussion of the bill within the coalition, arguing that it was important to ‘coordinate’ major changes in Judea and Samaria with the Trump administration. "We are in contact with the Americans; the Americans turned to us seeking to understand the essence of the Law. As we have cooperated with them so far, it is worthwhile talking with them and coordinating them. We are working to promote and develop settlement rather than to promote other considerations," Netanyahu said. After Netanyahu’s comments, a senior Washington official told Channel 10 that the Trump administration was unlikely to support such a bill. "I think it's fair to say that the US is discouraging actions that it believes will unduly distract the principals from focusing on the advancement of peace negotiations," the official said on condition of anonymity. "The Jerusalem expansion bill was considered by the administration to be one of those actions." The Prime Minister met Trump envoy Jason Greenblatt and US Ambassador to Israel David Friedman on Sunday, though a senior White House official denied suggestions that the Greater Jerusalem Law was addressed during the meeting. “Jason and the ambassador met with the prime minister as a general check-in on peace conversations. They did not meet to discuss the annexation bill,” the source claims.